A pivotal work by Stanley Kubrick (2001: A Space Odyssey, A Clockwork Orange), PATHS OF GLORY is among the most powerful antiwar films ever made. 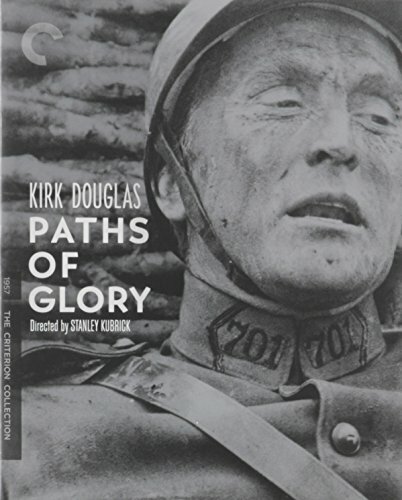 A fiery Kirk Douglas (Ace in the Hole, Spartacus) stars as a French colonel serving in World War I who goes head-to-head with the army’s ruthless top brass when his men are accused of cowardice after being unable to carry out an impossible mission. This haunting, exquisitely photographed dissection of the military machine in all its absurdity and capacity for dehumanization (a theme Kubrick would continue to explore throughout his career) is assembled with its legendary director’s customary precision, from its tense trench warfare sequences to its gripping courtroom climax to its ravaging final scene.